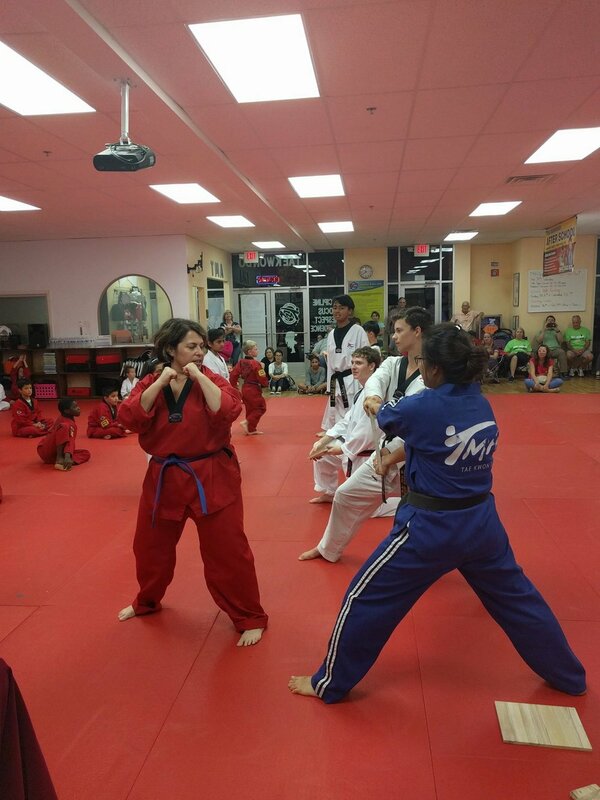 With adults, our goal is to deliver all of the benefits of martial arts including improving muscle tone, increasing cardiovascular fitness, lowering stress levels, and increasing energy. Plus, you will gain self-confidence, greater strength, speed, balance, flexibility, and stamina. The best way to prepare yourself to fight off an attacker is to take self-defense class. Although, reading about how to defend yourself is certainly useful and better than nothing, it’s no substitute for hands-on experience; something you just have to learn in person. Taking self-defense classes (such as martial arts) are a safe way to prepare yourself in case something does happen and you are forced to defend yourself or your child. Knowing that you could do something, if it came down to it, will give you peace of mind. The first rule in self-defense is to prevent a dangerous situation from developing. Your greatest success would be to never have to use a single self-defense technique. The best way to handle an actual (or threat of attack) is to try to get away. It is always your best chance to avoid injury. However, if you cannot get away and find you need to protect yourself, knowing self-defense technique can be invaluable. Self-defense is important for men and women alike. Men are more likely than women to fight back ‘in self-defense.’ In doing so, they risk making a situation worse. The attacker may become more angry and violent. Again, the best way to handle any attack or threat is to try to exit the situation. However, if all else fails you may have no choice but to defend yourself or someone you care for. The majority of violent attacks are on women. A woman that’s alone will almost always be targeted before a man. Trust your instinct. That gut-feeling, along with common sense, can help prevent and get you out of trouble. At TMA Tae Kwon Do classes, you will learn Tae Kwon Do & Hap Ki Do which is variety of strikes, block, throws, take-down, and joint locks that can help when applied to any number of threatening situations. The instructors at TMA will teach you special techniques for breaking an attacker’s grasp and effective strikes for disabling your opponent. You will learn ways to surprise your attacker and catch them off guard, which is especially useful if they are much larger than you.